What is the DELF - DALF? 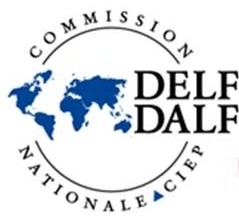 The DELF (Diplôme d'Etudes en Langue Française) and DALF (Diplôme Approfondi de Langue Française) are official qualifications awarded by the French Ministry of Education to certify the competency of candidates from outside France in the French language. They are monitored by the CIEP (Centre International d'Etudes Pédagogiques). The 6 DELF/ DALF diplomas (levels A1, A2, B1, B2, C1 and C2) are independent: you register for the exam of your choice, according to your level. For each DELF/ DALF 4 skills are evaluated: listening, speaking, reading and writing. WHY TAKE THE DELF AND THE DALF? They are officially recognized by the French Ministry of Education and the European Consortium for Foreign Languages, and constitute the equivalent of the American TOEFL. People who have passed the DALF (C1 or C2) are exempt from taking language tests for entrance into French universities. In addition, they are recognized and valued by French and European employers. Getting this certification is a proof a success in learning French, an open door to study or work in French speaking countries and certainly a good asset on your resume! In private lessons we can prepare you for your DELF/ DALF, you can also register for a DELF Prep Class (with max. 4 participants).